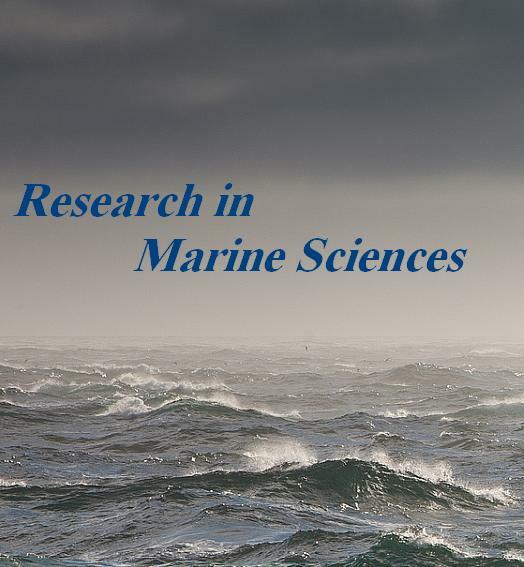 The Research in Marine Sciences is a seasonally peer-review open access journal that publishes original articles, opinion essays, visions for the future, and critical reviews that contribute to our scientific understanding of marine systems and the impact of human activities on them. The Journal considers all issues related to the water environments (ocean, sea, lake, estuarine,… ) includes: Physical Oceanography, Marine Biology, Chemical Oceanography, Marine Meteorology, Marine Habitats, Water Resources, Marine Geology, Marine Structures, Marine Communications, Air-Sea Interactions, Marine Renewable Energy and etc., for possible publication. This is an Open Access journal. Users have the right to read, download, copy, distribute, print, search, or link to the full texts of articles in the Journal. Furthermore, the users can reuse and build upon the material in the Journal as long as attribution when it is appropriate or necessary. The Research in Marine Sciences journal has been indexed in different databases (Indexing page). Publisher: Arman Darya Inc. Address : 20, No. 60, West Nosrat st., Tohid sq., Tehran, Iran. Tel: 00982166914630.